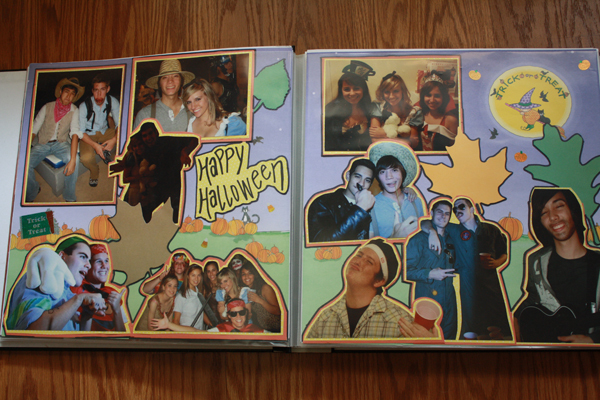 I began scrapbooking my freshman year of high school. 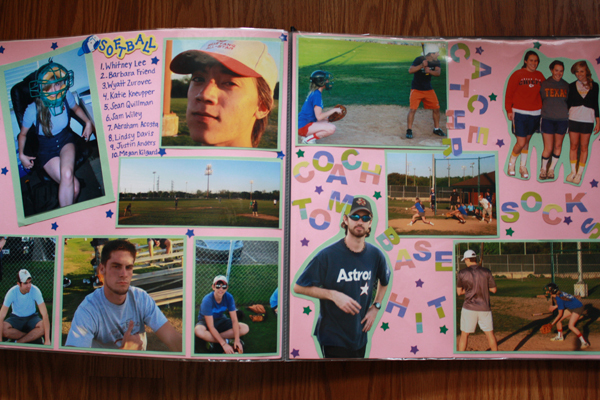 As one of our freshman year projects, my English teacher assigned us a scrapbook that we would turn in the last week of classes. 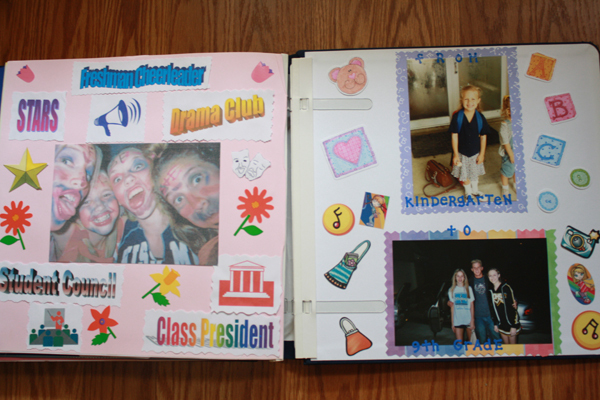 Ever since then, I created a scrapbook for each year of school. 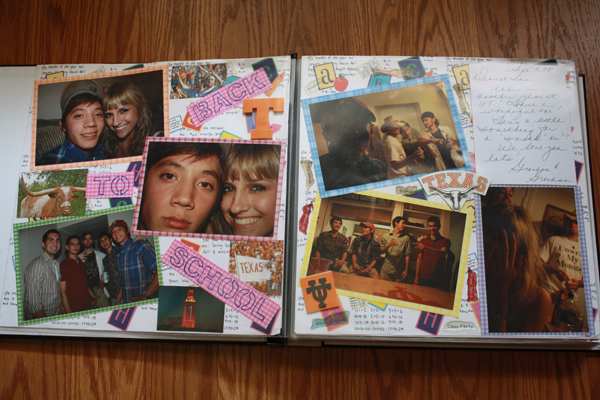 Well, it has taken me several years, but I finally finished my sophomore year of college scrapbook. I know, I know…way behind in the game. 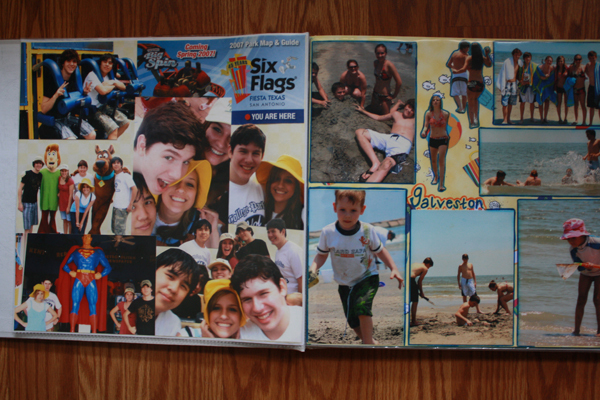 The reason being…I used to make my scrapbook the summer after the end of each school year. 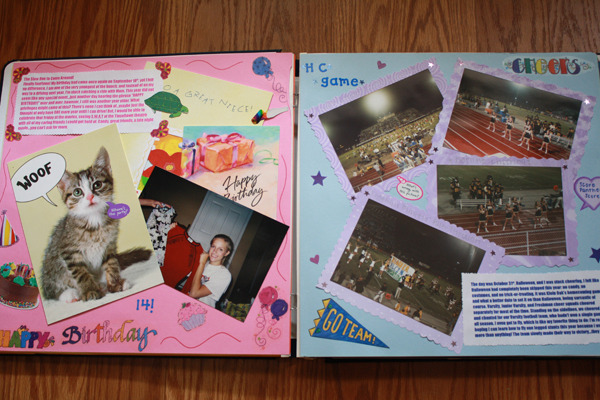 Well, the past several summers I haven’t had “off” to devote the time necessary to a scrapbook. 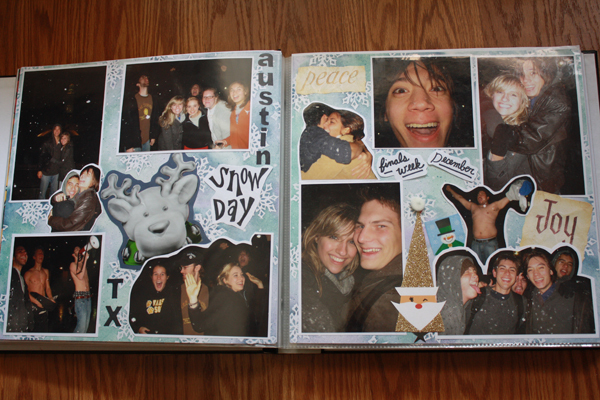 I started this scrapbook so long ago…even printed all of the photos. Well this past weekend I finally sat down and finished the remaining pages. 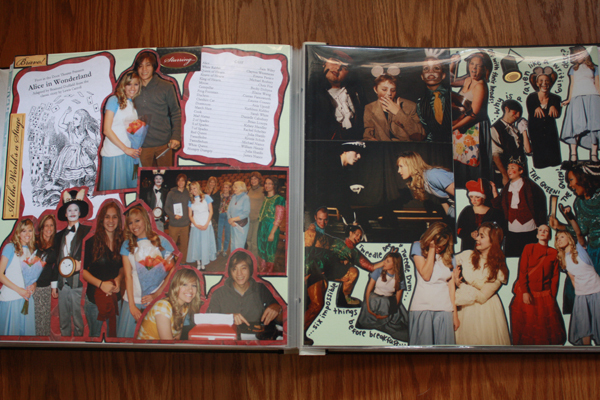 What will I do about the past few years of photos, you ask? 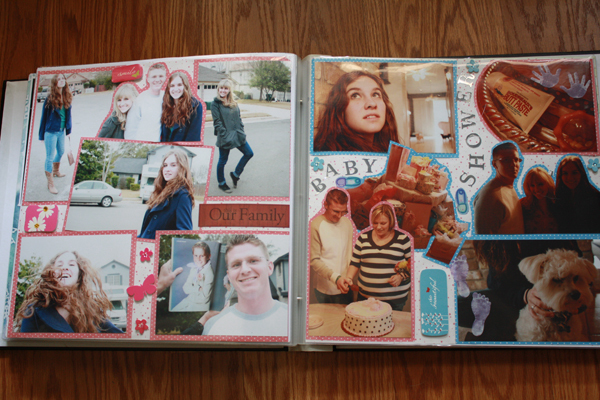 Well, I think I’m going to quit the traditional route to scrapbooking. 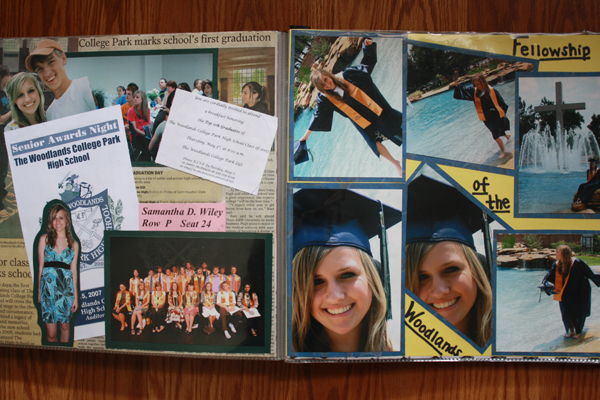 I may just put those photos in good ol’ photo albums, or I may start Project Life albums. 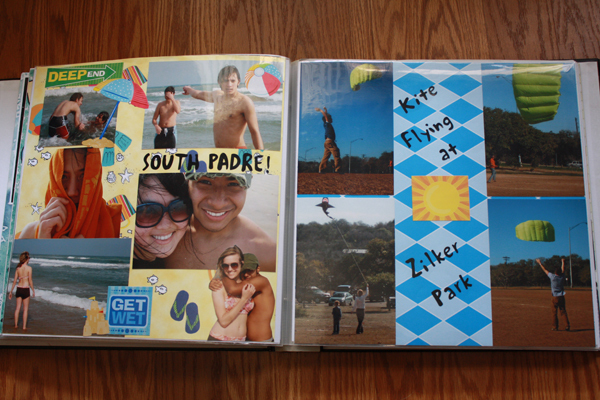 I’ve been hearing a lot about Project Life, and it just seems so much simpler and doable. 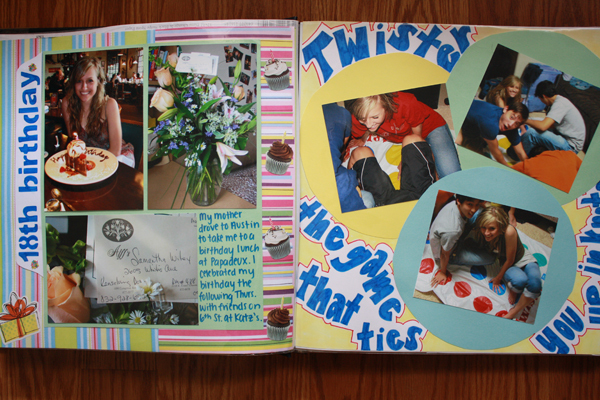 Traditional scrapbooking takes so much time…and money. Thankfully, I’ve only ever purchased about 4 sticker sheets myself. 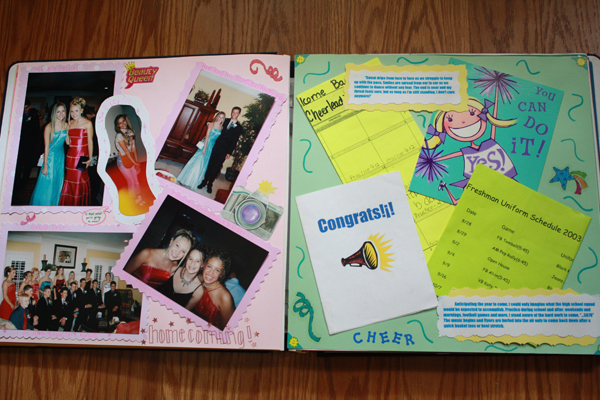 The rest of my paper and scrapbooking supplies were always gifted to me. 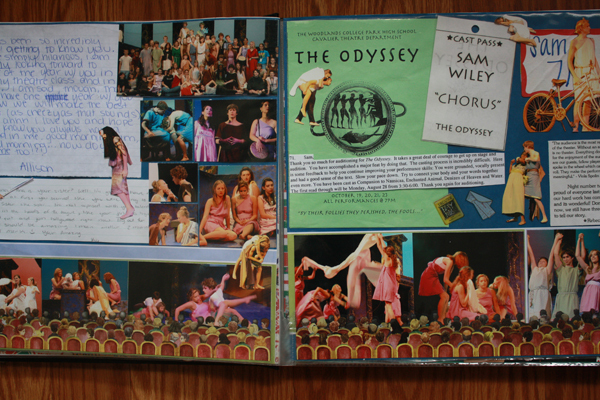 That being said (since I have refused to invest hoards of money into supplies), I have been dwindling on the scrapbooking supplies and thus had to get creative with finishing up this scrapbook. One check mark on my summer bucket list! 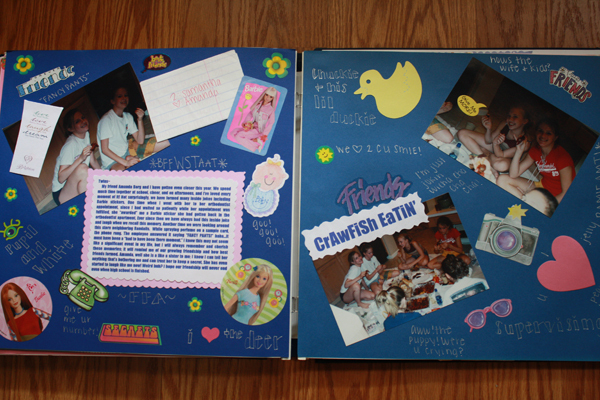 My very first scrapbook. 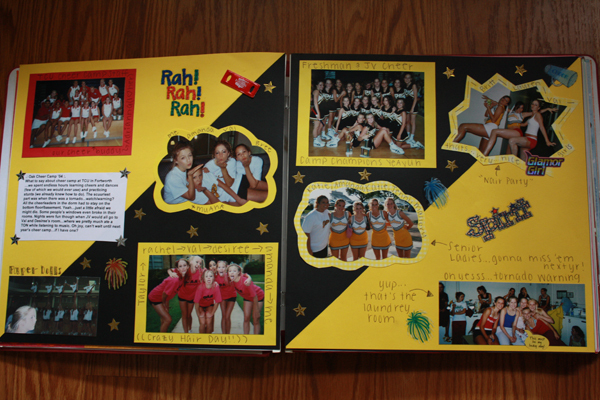 A huge part of my life was devoted to my high school’s cheerleading team. If I wasn’t cheering at an event or at practice, I was hanging out with my close girl friends I made on the squad. 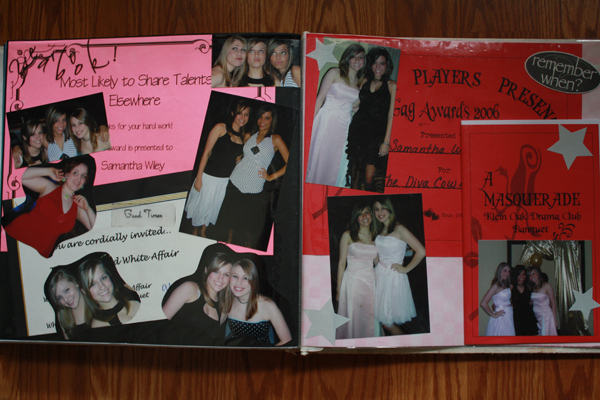 You can see all of the clubs I was apart of on that last page. Busy girl. 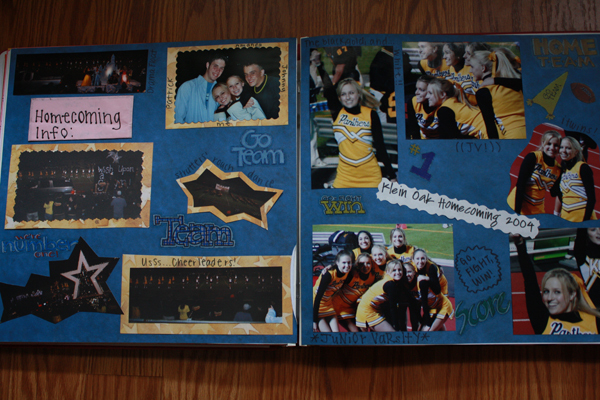 I was still on the cheerleading squad my sophomore year. This was also the year I began to get more serious about liking boys. 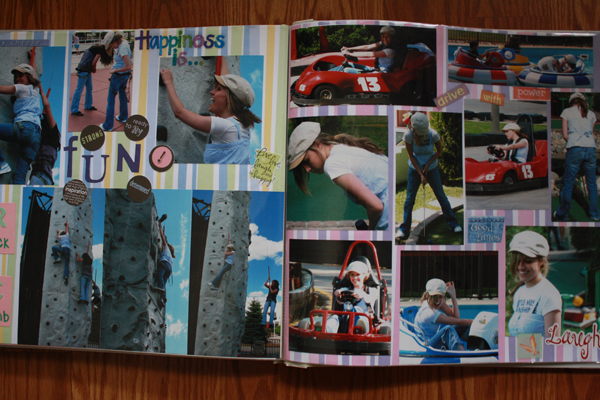 ;p I’m also pretty embarrassed by a lot of the captions and notes I wrote on pages *rolls eyes*. Kids. 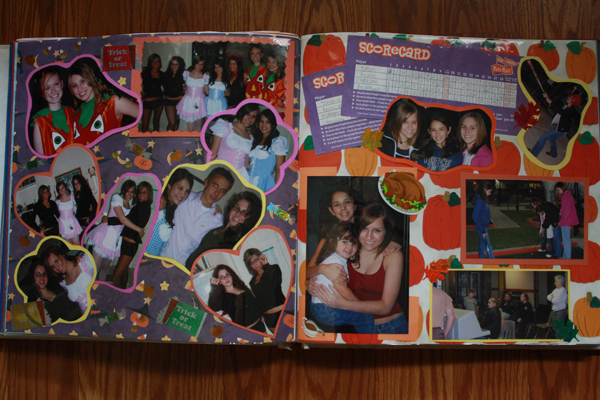 This was a weird transitioning year for me. 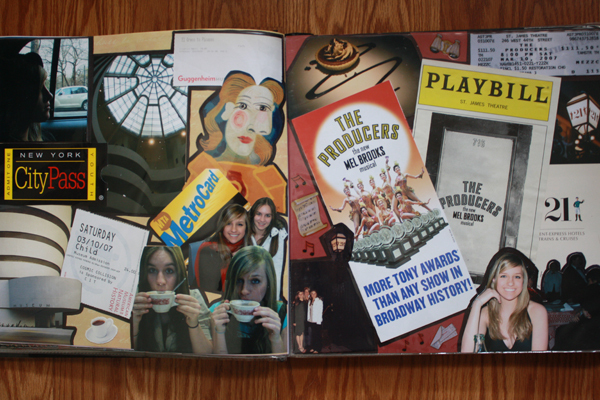 I decided to not try out for the cheerleading squad because I wanted to devote my time to the theatre department. I chopped off all my hair and dyed it brown. I also gained some weight (-__-). 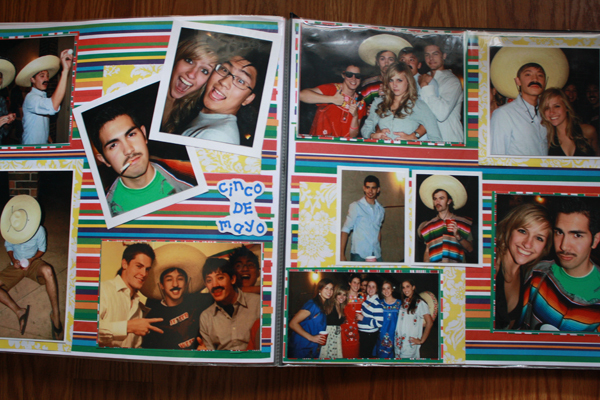 But some of my best memories are from this year. 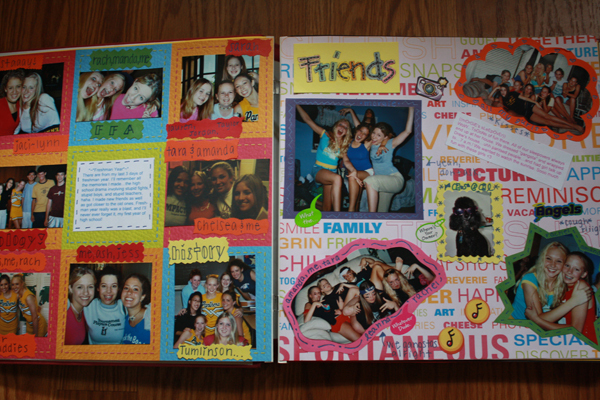 I didn’t bother with boys (was already jaded from my sophomore year, haha), and I had some wonderful times with my close group of girl friends (KKKAS). My senior year of high school we moved 15 minutes away, and I had to go to a different school. At first I was excited about a change (if you don’t know, I’ve attended 10 different schools), but being the new kid in school is always difficult…especially for someone as shy as me. 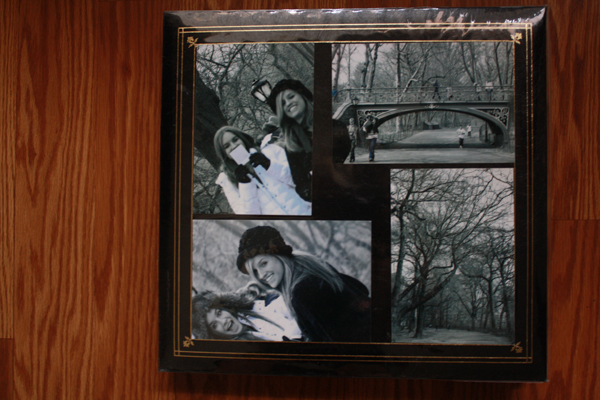 But I was able to perform in my first main stage theatre productions, took a trip to NYC with my mom and sister (bought my prom dress there), and graduated! 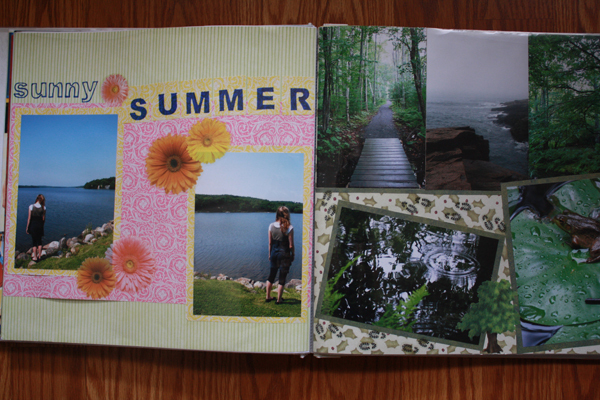 This was a tough summer for me. I had to leave my friends for a month on a trip with my dad, went through a break-up, and was nervous about leaving home for college. I enjoyed what I could. 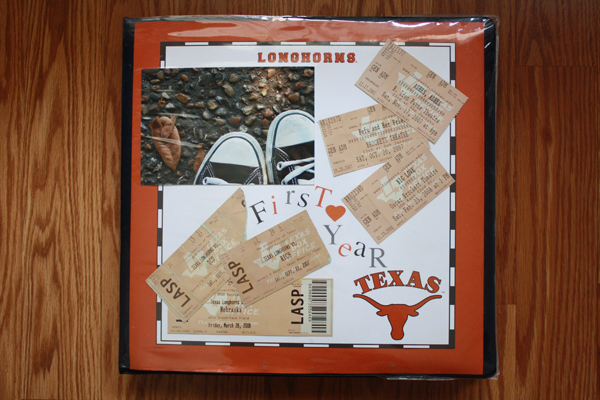 Again, I had a rough start to college. 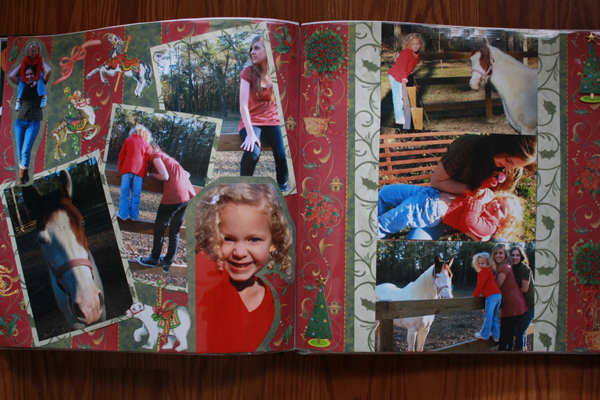 I missed home tremendously, and I couldn’t quite get passed it. It wasn’t until I became close friends with Whitney and began dating him that I was finally able to fully embrace college. So thank you for that, dear. 🙂 My first year away from home sure had a lot of ups and downs, but I had some of the best memories and grew up so much even within that one year. 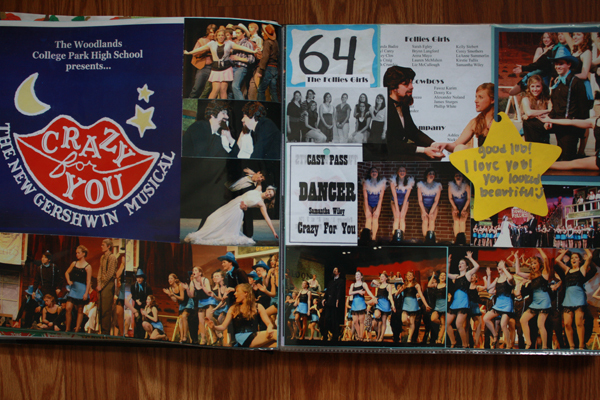 Sophomore year was pretty great. 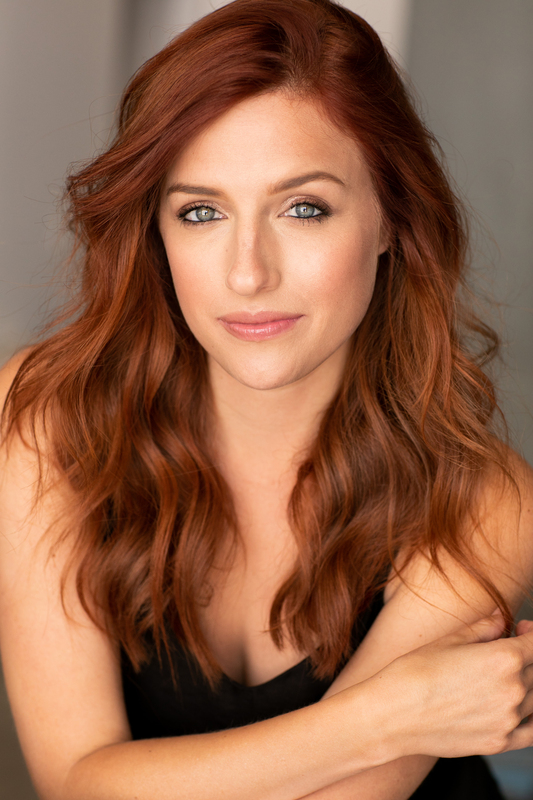 It was Whitney’s and my first year of dating (you know, still in that “honeymoon” phase ;p), my niece was born, we took a trip to California, and I got to play Alice in Alice in Wonderland (my dream!). This was our last year in the dorms, and though we were ready to live in apartments, those dorm years will always hold such special memories. We all lived near each other, all dined together at the cafeterias for most meals, made Wendy’s runs at 2 in the morning, etc. etc. 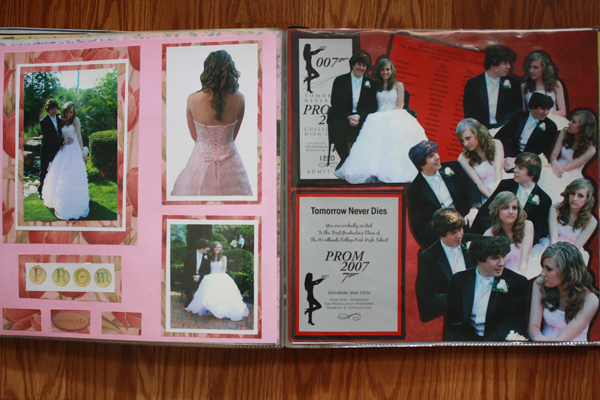 So like I said, I’ll figure out what I’ll do with the past few years of photos. 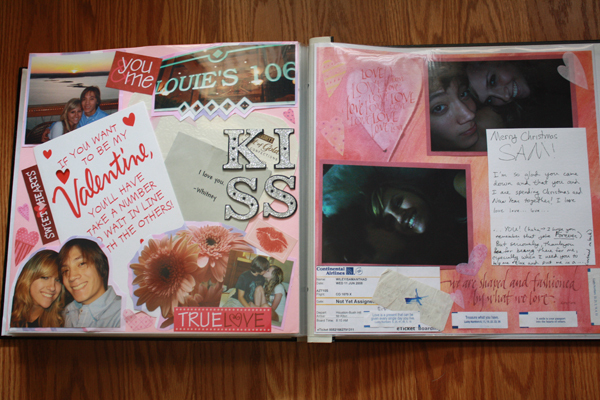 I hardly save mementos anymore (they were just piling up), so I will only have photos to use. It is important to me to print photos and put them on display other than on the internet (and our walls are already dang full). 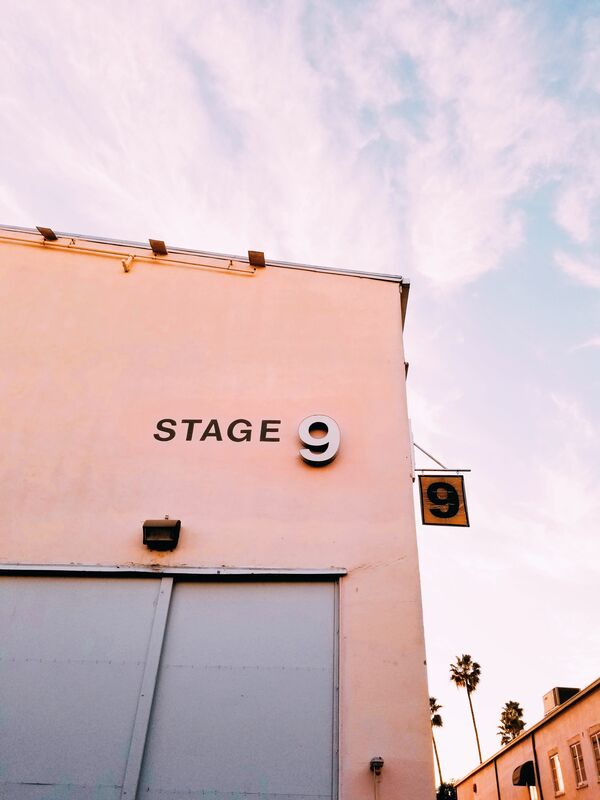 I’m really interested in Project Life, so I’m excited to see what that has to offer. 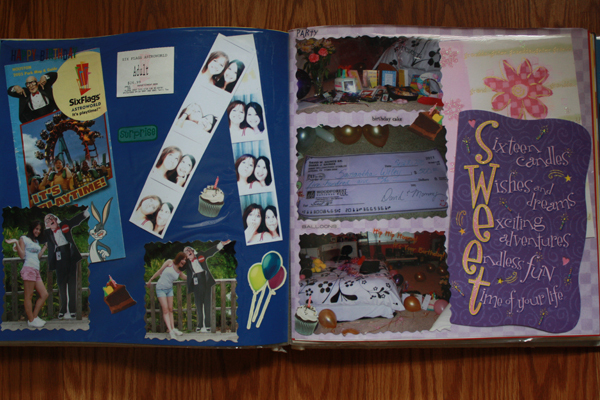 What do you do to preserve your memories?